Something's happening in these lands, and the only hope seems to be the moonstone. 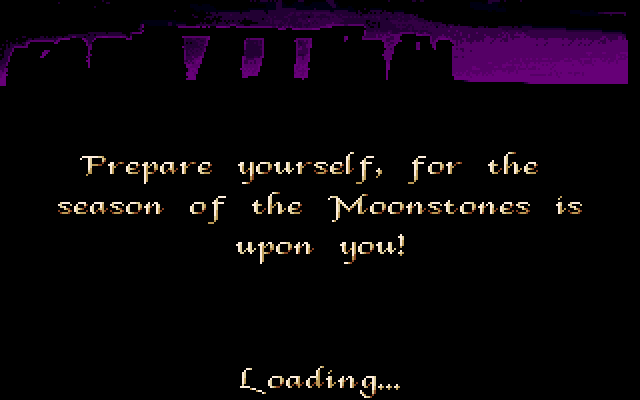 You, as a chosen knight from the druids are about to find it and bring it back. The game can be played from 1 to 4 players at once, with no difference between solo and multiplayer as no matter how many players play, the story stays the same for everyone. However, if you choose to play with only one player/knight, the other three will be the computer rivals. Wandering through the map, you can visit enchanted places, towns where you can buy equipment or try your luck in gambling, but mostly visited places on the map will be cabins which represents the places where certain enemy beasts are. Each spot has about two or more beasts which after defeating them can be rewarding in a certain way, depending on game's randomize placement. Also, for example, if the place has three beasts and you kill two before you die, next time you (or some other player) go back there, there'll be only one beast left to fight. 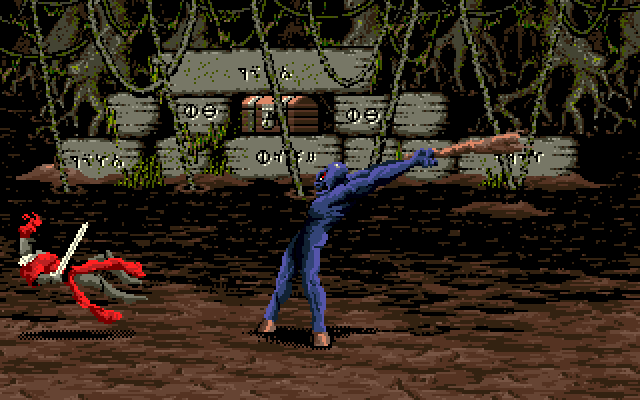 It's also possible for two players to run into each other and, once defeating the other, the one who prevails can steal the other player's money and/or weapons. 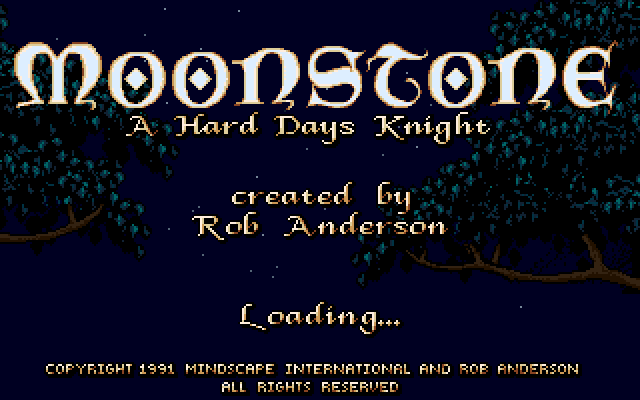 Thus, searching for the moonstone begins, but that's only half of the story. The rest unfolds once you find it.